A British court will sentence tomorrow three Internet activists who have plead guilty to being members of the Lulzsec hacktivist group. 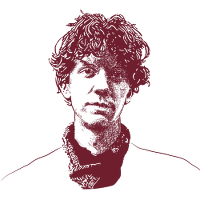 The case against Lulzsec spans three countries, England, Ireland, and the United States, where 28-year-old Chicago native Jeremy Hammond faces 42 years in prison. Mr. Hammond’s co-defendants in Ireland are not being prosecuted at all, and his English co-defendants are likely to spend less than two years in confinement. In contrast, Jeremy Hammond has been jailed without bail or family contact for 14 months now. “We have seen again and again the aggressive behavior of prosecutors who are exploiting the vague language in the Computer Fraud and Abuse Act to threaten young activists with decades in prison. Jeremy Hammond’s treatment and disproportionate sentencing is a mark of overzealous prosecutions that have destroyed young lives and continue to intimidate some of our brightest and most engaged young people,” said National Lawyers Guild Mass Defense Coordinator, Abi Hassen. The National Lawyers Guild is supporting the Jeremy Hammond Defense Committee. The three UK activists, Ryan Ackroyd, Jake Davis, and Mustafa al-Bassam plead guilty to computer hacking charges for their participation in the online activist group LulzSec. The UK’s sentencing structure allows people convicted of crimes to serve out the second half of their sentences on “licence,” the equivalent of the United States’ parole, meaning that Ackroyd, Davis and al-Bassam will likely leave prison after a few years at most. The three have been free on bail since their arrests in March 2012. Two Irish Internet activists accused of participating in LulzSec have gone free without charge in Ireland, which does not have an extradition treaty with the US. The acts the English activists plead guilty to—gaining access to and disseminating information from corporate and government websites—mirror the charges Jeremy Hammond is facing. Hammond is accused of publishing internal emails of the private intelligence agency Strategic Forecasting (Stratfor) through the whistle-blowing website Wikileaks. The emails contained many revelations, including that Stratfor spied on Bhopal activists at the behest of Dow Chemical and monitored Occupy Wall Street for the US Department of Homeland Security. United States attorneys charged Hammond with five felony counts, including three under the Computer Fraud and Abuse Act (CFAA). Each of the CFAA counts carries a ten-year maximum prison sentence. Written in 1984 and long criticized for being outdated and vague, the CFAA has seen increasing use against information activists in an effort to criminalize a broad spectrum of online activity. Offenses range from violation of terms of service agreements to the simple sharing of links. The most highly publicized CFAA case involved 26 year-old information activist Aaron Swartz, who was threatened with decades in prison for downloading freely available documents from the academic database JSTOR. Swartz took his own life earlier this year. speech and Jeremy’s case, and to support Jeremy while he is in jail.